Close to the secluded Playa Del Mal Pas beach, just down the steps by the port. 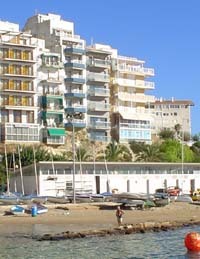 A few steps from the Balcon de Metiteraneo - the best view point on the coast. Easy access on foot to the Old Town's bars restaurants and shops. 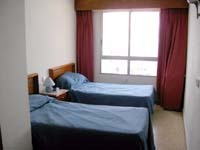 Choice of one bedroom or Studio apartments to sleep 4 or 2 people. 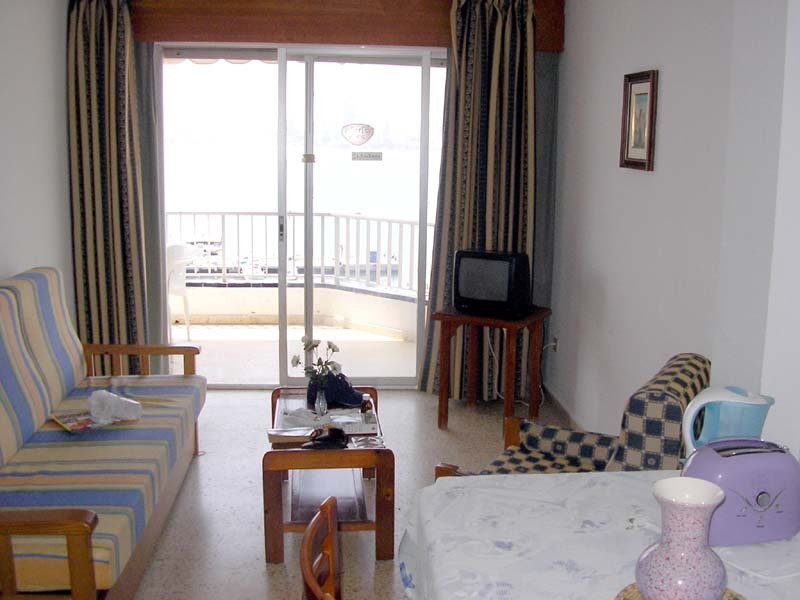 Beautiful location with balcony and amazing views accross the port and Poniente beach towards La Cala bay. Only a couple of minutes to the beach either by steps or through the town and with Benidorm having some of the cleanest beaches in Europe (cleaned every night) you'll want to make the most of them. The Old Town nightlife is right on your doorstep with a wide and varied collection of small bars, restaurants and tapas bars. The nightlife in the Old Town goes on to the early hours, some bars provide entertainment and karaoke, others provide a welcoming atmosphere where you can relax, chat and unwind. Local restaurants include the The Queens and The White Dove. 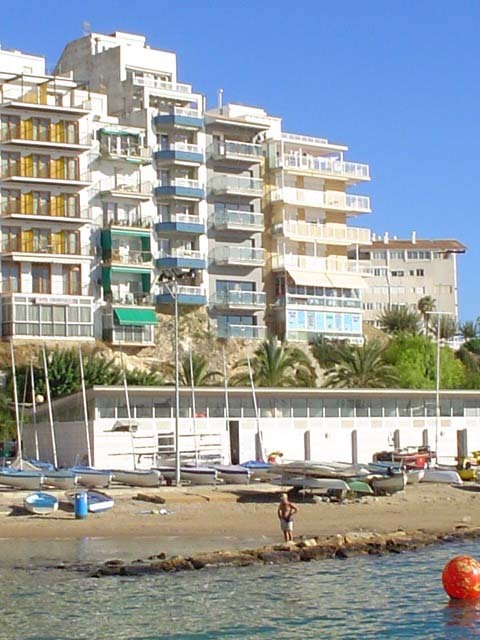 Local bars include; Bar Domino (Internet and games room), The Local (Home-made specialites), The Beer Barrel (Sports and English Tapas) and Company Bar (Snacks, music and video bar. Wednesday and Sunday open air markets 5 mins by taxi. 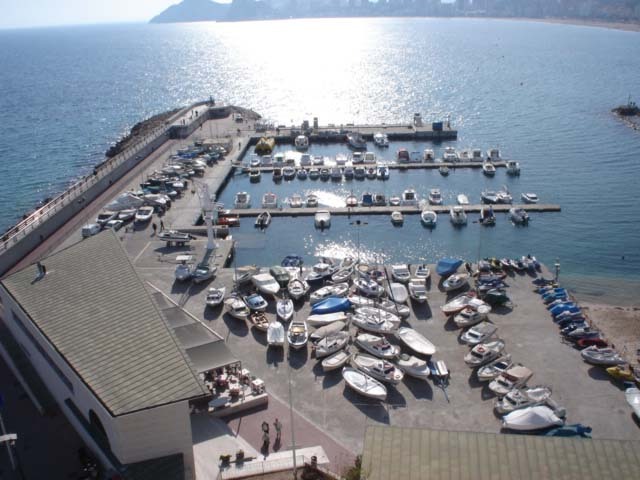 The port and boat trips to Calpe and 'Peacock Island'. Central to all the Gay nightlife in Benidorm. To book this or for further enquiries use our Booking & Feedback Form.